Buying a new home is a big deal. And a lot of money is involved. Your future is at stake. You deserve to pick the lenders that you know will have your interest at heart. How do you know if you can trust your mortgage broker? How do you know if the person you entrust your future finances with has your best interest at heart? These are fair questions. The business of mortgage is still business. And making a sale is still at the core of the business. You need to you chose someone who doesn’t see you as a sale, but a person they can serve. And finding a lender like this isn’t easy. Will your broker be easy to reach when you have questions? If you’ve ever dealt with loans, you know that you will have questions. A lot of questions. More questions than you would like to have. And you should. There’s so much information and details involved with loans that most people don’t know about. And it’s our job to know, not yours. But more importantly, it’s our job to make sure you understand what’s going on every step of the way. And, understand the options that are available to you, and what they mean for your future. You have to care about your future, and it’s our job to care about you. And that’s why an honest lender is the best option. We’re here for you, not just our business. It is our job as men of God to serve our community. To serve you. To ensure that you’re building the best life possible. We take our commitment to serving you more seriously than anything else. It’s hard to trust that there is someone that isn’t here to take advantage. Finding someone who cares about you and backs that up with their actions, not words, is a challenge. Honest mortgage brokers have taken a vow to do what is absolutely best for you. Even if that means that a home loan isn’t right for you and we must turn away a sale. That’s why so many people turn to Mike and Brian of Fellowship Loans. These loans aren’t about our business, they’re about your future. Whether you mean to refinance or buy your dream home, we’re here for you. We’re here to help you along the way. Every step of the way. We’re here to share our knowledge and experience to ensure you have the best home possible. No matter the time or place, we can help. 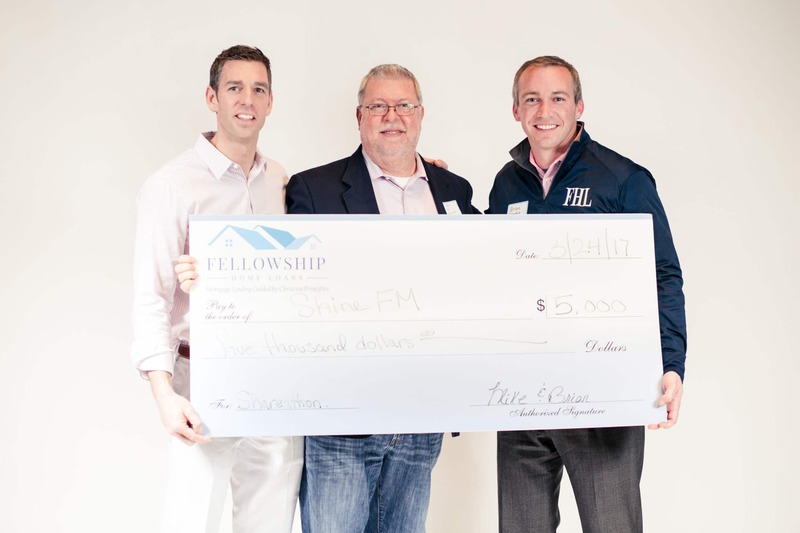 Brian and Mike have been in the mortgage business for more than ten years, and they’ve built Fellowship Loans on the pillars of business – honesty and service. They’re passionate about helping you, helping the community, and living in the name of God. They will take you by the hand and walk you through the whole process, with your individual needs at the core of their motivation. Your needs are specific to you, and your mortgage process with Fellowship will be too. If it’s time for you to buy your dream home, or refinance the home you already have, contact us today. The most fulfilling thing we can do in this world is serve others in the name of our God. 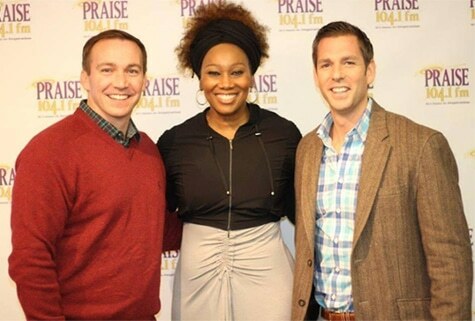 Mike and Brian say that their ability to help others find their dream home is a daily blessing. In fact, it’s such a blessing that Mike and Brian are always looking for ways to give back to the community that has blessed them with such a good life. But perhaps the most joy they get is from helping different congregations in times of need. It’s our duty to help if they’re able to help. Mike and Brian have been blessed with the ability to help, and they never stop. 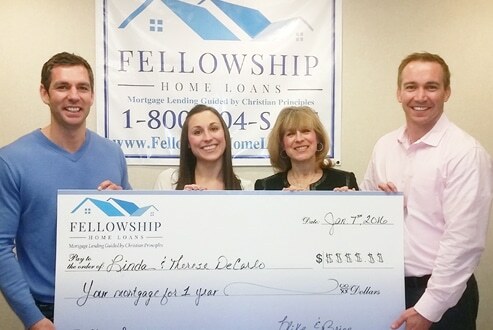 Fellowship Home Loans has even paid for one year of mortgage payments to some of their lucky clients that won their annual sweepstakes. Mike and Brian say that this was the most rewarding experience – to help someone they care about improve their life so much. And they are grateful and humbled by the clients that have made that possible. “Mike and Brian are obviously men of faith, as their sense of God shines through in all they say and do.” – Terry, a stage three cancer survivor, and winner of last years sweepstakes. Terry’s payments were hard to make because of her high medical bills. A year without mortgage payments gave Terry the breathing room she needed to get her finances back on track. It doesn’t stop there, though. Every client that Mike and Brian have is a chance to help – and they know it. That’s why they constantly work to give each client the absolute best loan they can. This is the pride and joy of Fellowship Home Loans – giving back to the community that helps them be better people every day. The market is always changing. And it’s the lender’s job to make sure that all their customers are informed. The public needs to understand how the market changes affect them. Fellowship Home Loans works to make sure that all their clients know what’s going on – all the time. When the Fed announced the first rate hike in almost 10 years in December 2015, Mike and Brian spoke with as many homeowners as they could about what the changes meant for them. And not only their current, paying clients, but anyone that was looking for some insight. Mike and Brian work day and night to surpass all the expectations of their customers. It isn’t hard to do when you’re guided by honesty and core values. Fellowship’s focus is reliability, integrity and customer service. When an important question pops in your head at night, you can call Fellowship and hear back as soon as humanly possible. You don’t have to stress all weekend waiting for offices to open on Monday morning. You don’t have to worry about the loan that’s been recommended. Mike and Brian will walk you through every option so you understand exactly what you’re getting yourself into. They put all the facts on the table. Nothing is hidden, and you won’t be stressed. If you need a loan service and it’s important to you that you know you’re getting the best option for you, fill out the form on this page to get in touch with Fellowship right away. And remember, there is no obligation.